Shark Team One Partners with Manon Jewelry! 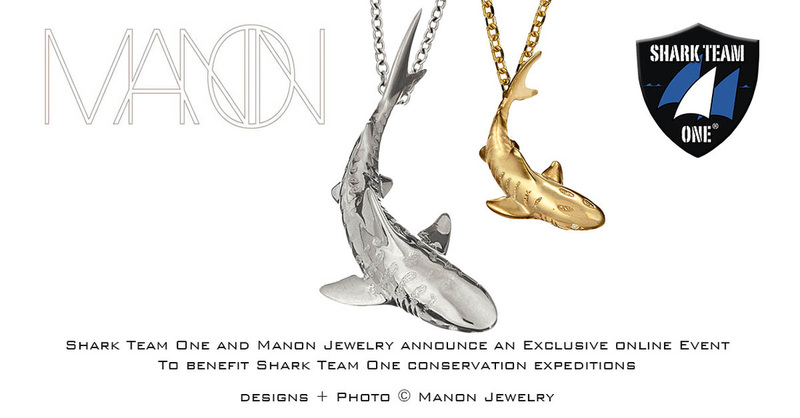 Manon Jewelry helped to sponsor our Whale Shark Conservation Expedition 2016 called Expedition Destiny! Thank you Manon!! The talented Manon von Gerkan donated two gorgeous precious metal and diamond shark pendants she lovingly created to help save real sharks!! An exclusive online auction event was held for the month of July and conservation art enthusiasts bid on the two gorgeous pieces from Manon's collection. 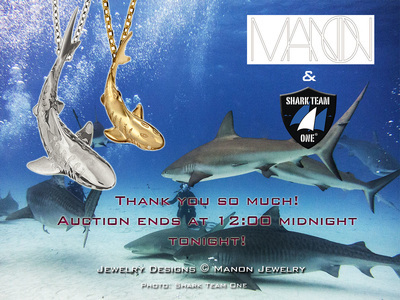 All proceeds from the winning bids went directly to Shark Team One conservation programs and projects. We are very thankful to the winning bidders and big congratulations to Christine and Lori! Manon's jewelry has graced the cover of fashion magazines and is worn by celebrities around the world. Her designs capture the essence and energy of nature! They are simply gorgeous as you can see from the photos! 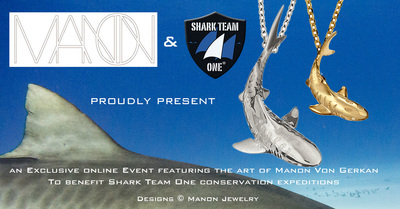 We can't think of a more perfect sponsor for Shark Team One. 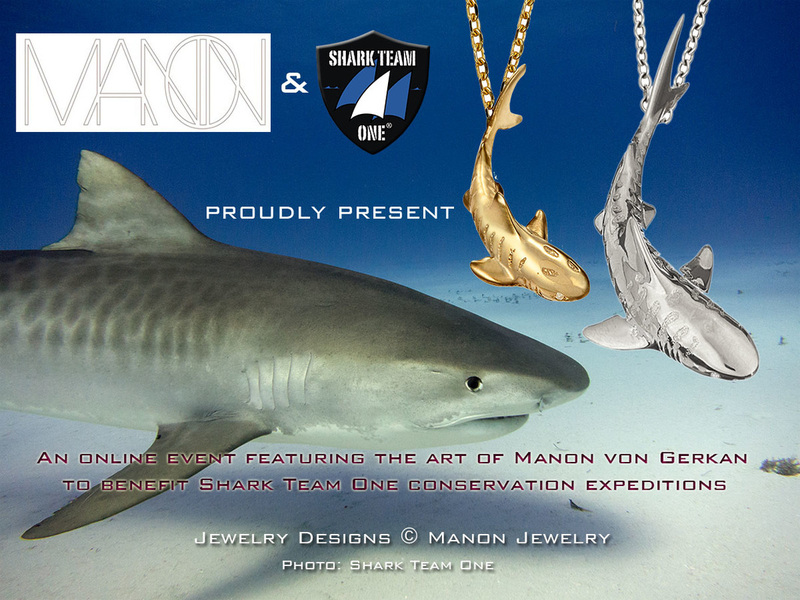 We are proud to share Manon's love for the Earth! 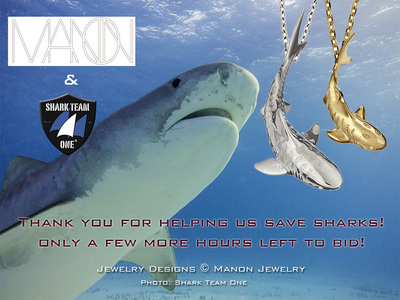 Big thank you and "Fins UP" to Manon for her generosity! The auction has ended but you can read about it at the auction link below and check out the gallery of awesome images used in the campaign! Gallery of images used in the campaign!